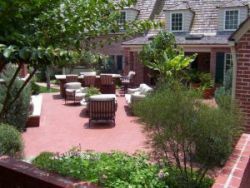 The annual "Nichols Hills Garden Tour" promises vibrant colors, earthy drama, rich fragrances and edible garden secrets. The public is invited to share in this annual event, generally held in June each year, that offers variety and surprise from Nichols Hills residents who generously open their backyard gates for viewing. Please check City calendar for updated information!